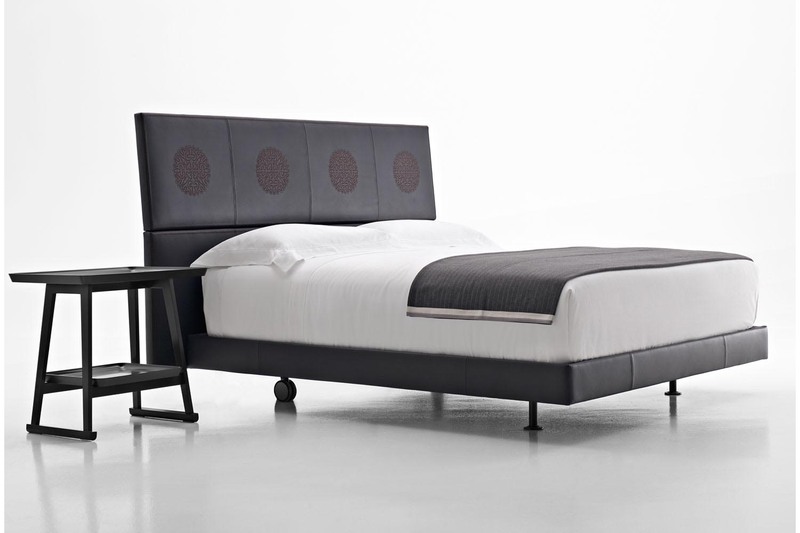 It has the prestige of leather beds, which express elegance with a minimal design. 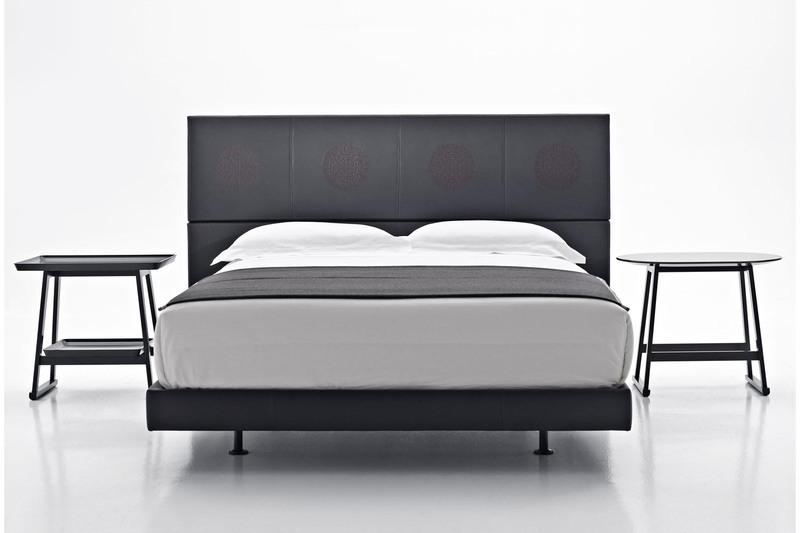 The headboard (wall mounted at different heights) is made up of two panels. The top panel is slightly inclined and has a decorative element that softens the essential design. A circular lace motif repeated four times, in matching tones or contrast, accompanies a blanket stitch border around the upper perimeter of the headboard. These decorations recall the tradition that made cantù famous for its handmade lace, when "bisetta" was the word (in the local dialect) for the type of lace used for Erik.